Registering To Bid On An Auction - SUPERIOR AUCTION & APPRAISAL LLC. Registering To Bid On An Auction. Now That You Have Created Your Account, You Are Ready To Register For The Auction That You Would Like To Participate In! 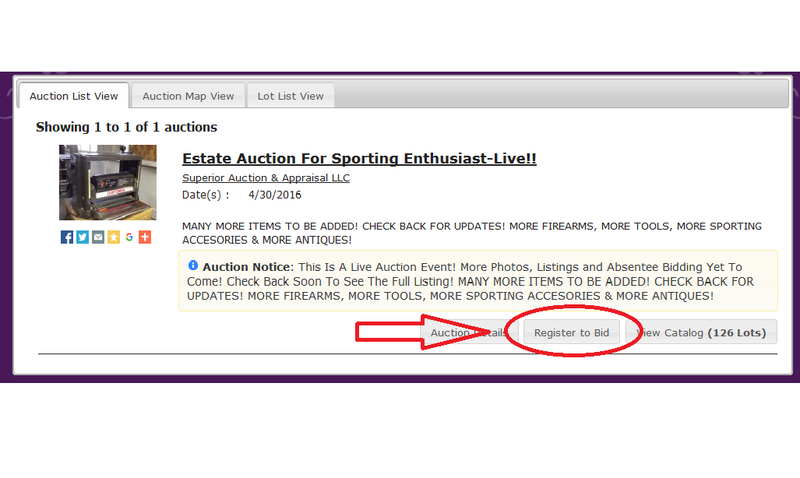 Step One: Find The Auction That You Wish To Bid On And Click The "Register To Bid" Button. 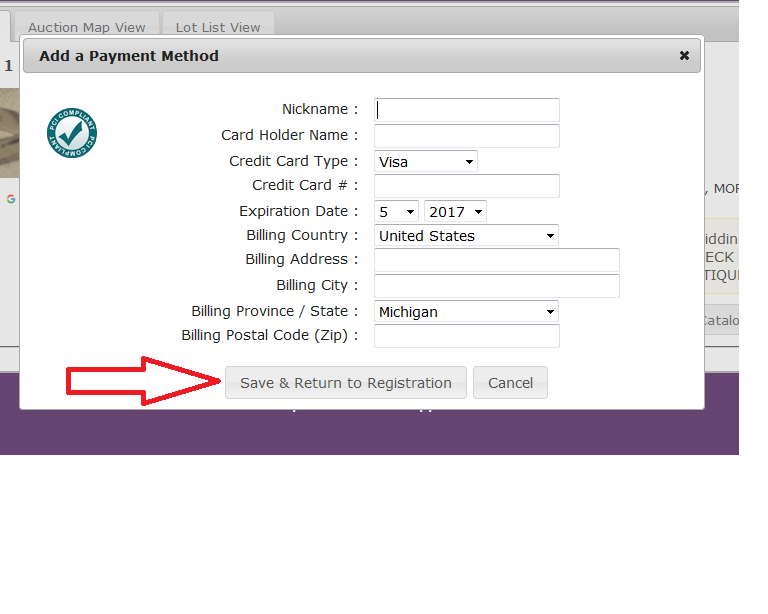 Step Three: Fill In All Fields On This Form and Click Save & Return To Registration! 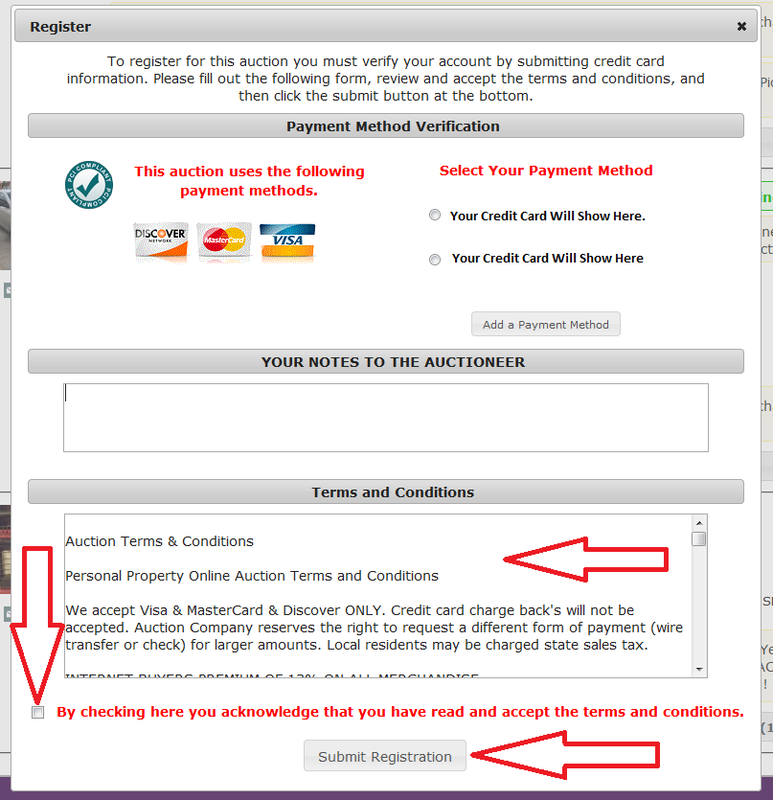 Step Five: YOUR NOTES TO THE AUCTIONEER - Enter Any Information Or Requests In This Field. This Is Where You Will Enter If You Would Like To Pay Cash Or Have An Item Shipped. 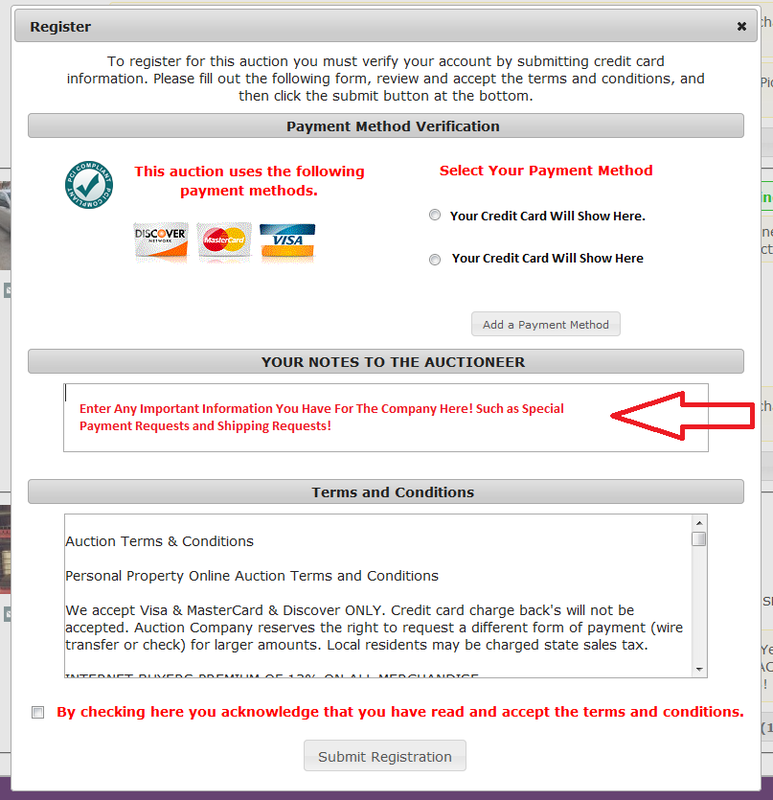 If You Are Picking The Item Up And Paying Automatically At The Close Of The Auction You May Leave This Field Empty. Step Six: Check The Box Acknowledging That You Have Read The Terms And Conditions Of The Sale and Click "Submit Registration". 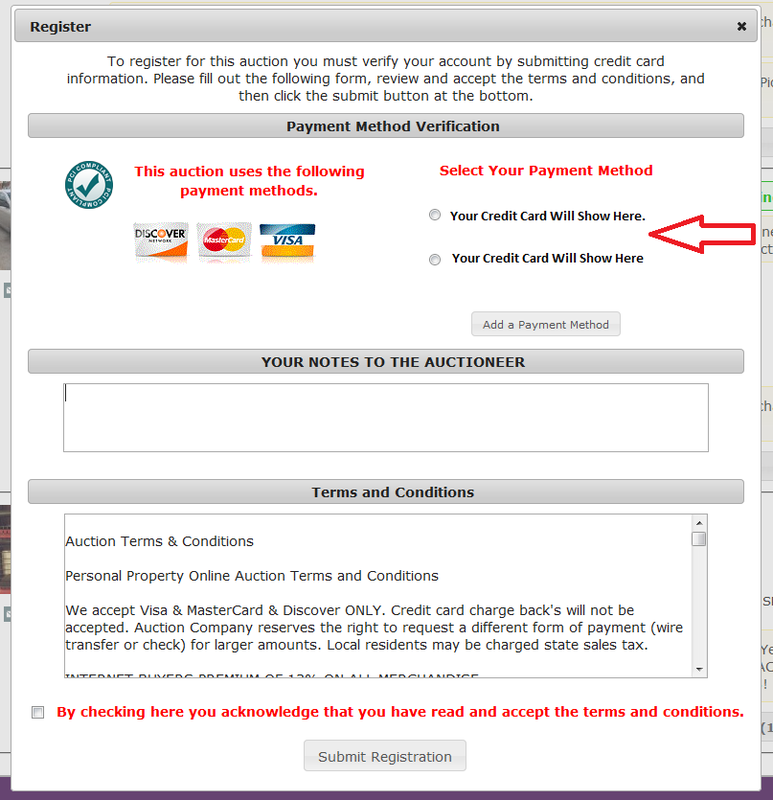 Step Seven: After You Submit Your Registration You Will Get A Confirmation Screen, Welcoming You To The Auction. You Can Click "OK" And Proceed To The Catalog To Begin Bidding!